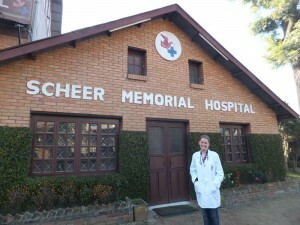 So I have just completed my first week at Scheer Memorial Hospital itself. It is a mission hospital serving quite a large community (20,000+ by estimate). People can travel some 7-8 hours to come to see us. It is largely staffed by Nepali doctors however there are a few foreign doctors, some long term and some short term volunteers. There is a couple from the USA, Dr Aaron and Dr Sally, both trained in family practice and who will be here for 6 years in total. They have been here around 18 months and are a great source of knowledge on the medical system and how the hospital runs. 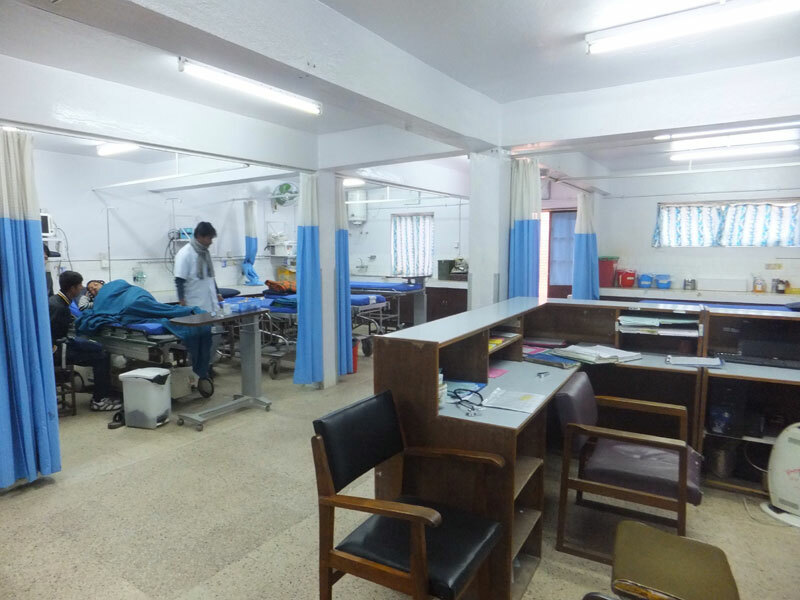 The hospital has a 6 bed “ICU”, a general medicine and general surgical ward, an obstetrics and gynaecology ward together with a delivery room, a paediatric ward, 2 theatres and the ED along with a floor of outpatient clinic rooms. While this might seem like a large hospital – don’t fooled. The beds are crammed together, consultations are conducted without the privacy of curtains, and in clinic rooms, which can be as small as about 2m x 3m, you can have up to 6 people in the room. For most of our consultations we are helped by nurses who can translate or interpreters. If they aren’t available then charades it is! 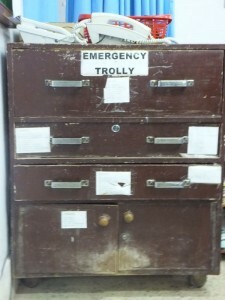 This week, I have been attached to Internal/General Medicine and ED. What an introduction to medicine in Nepal it has been! Firstly, to explain the system a little. When a patient arrives at the hospital they must register and receive a clinical notes and investigations booklet (often an outpatient booklet). To get this they must pay 25 rupee ($1 NZ = 80 rupee). Then we can assess the patient and write a list of medication, investigations or equipment we need (e.g. cannula, IV set, paracetamol) which is given to the patient party (i.e. family). They must then go and buy or pay for what we need and bring it back to us before we can treat the patient. This has been an odd system to get used to and particularly frustrating in time-sensitive situations as the line at the pharmacy for equipment or medication can be extremely long and slow! Also, many families can’t afford what we have asked for (an x-ray can be 400 rupee, plus a blood test at another 300 rupee) and we have to negotiate with them which investigation/medication they will order. So despite best efforts, it is not always possible to follow best practice guidelines. I have been surprised to find that a large amount of what I have been treating in clinic is acute exacerbation of COPD and peptic ulcer disease or GORD. I’m not sure what I was expecting but I suppose it wasn’t to see the same conditions that are so prevalent at home. However in reality – COPD here is to be expected. A large proportion of the population are smokers and the dust and pollution will surely not be helping. There is also not the taboo about smoking here as there is beginning to be in NZ and it is still very much a part of everyday life. However, it is sad to see the effects that COPD is having on people only just reaching their 50′s especially when they can not afford any medications. There have also been some new clinical cases for me. Interestingly and sadly, another very common case we have been treating in general medicine/ICU is the organophosphate poisoning. Young men in particular are particularly prone to using fertilisers to try and commit suicide and unfortunately can be quite successful very quickly. Often, like the patients we treated this week, the trigger is a fight with their family mixed with poverty and stress. It is hard to see such despair on the faces of those who are only my age. So, I have learnt this week how to pick up the signs of acetylcholine excess and how to prescribe atropine and titrate it to symptoms. An interesting skill that I did not expect to need. Further, brucellosis is a major problem here in rural Nepal as milk is unpasteurized and many farmers catch it from their goats. Anyone presenting with fever, stomach pain and headache is sent for serology as the likelihood is that they have brucellosis or typhoid! Other cases have included acute hypoglycaemia, potassium pomaganate poisoning in a 2 year old, pneumonia, motor vehicle accidents and more. I can’t explain how much I have seen and learnt this week – I hope it continues! But it hasn’t been all work and no play. 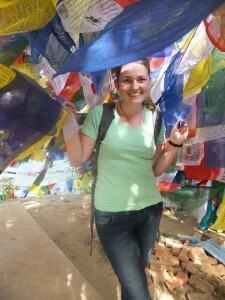 This week we made a trip out to a Buddhist monastery hidden high in the mountains called Namobudda. There was a large festival happening with well over a 1000 people on site. It was great to catch a glimpse into the culture and rituals not to mention see the thousands of Tibetan prayer flags (coloured blue, green, yellow, red, and white).